MADISON - State education officials released a mountain of new student test scores this month. To help you start exploring the numbers and understanding how students in your kid's district stack up to their peers around the state, we’ve produced an interactive map. Our map assigns colors to public school districts based on the state's "Forward" test scores in English language arts, math, science and social studies. Districts where students more often scored well are shaded in green while lower performing districts are shaded in yellow, orange and red. A statewide picture of our map is shown below. For an interactive version that allows you to see each district’s scores in the four subjects and how those scores compare to statewide averages, visit usatwi.sc/testscores16. Our map summarizes the results of tests taken by a narrow group of students. Third through eighth-grade students took state exams in language and math while students in fourth and eighth grades also took exams in science and social studies. Tenth-graders took social studies exams as well. 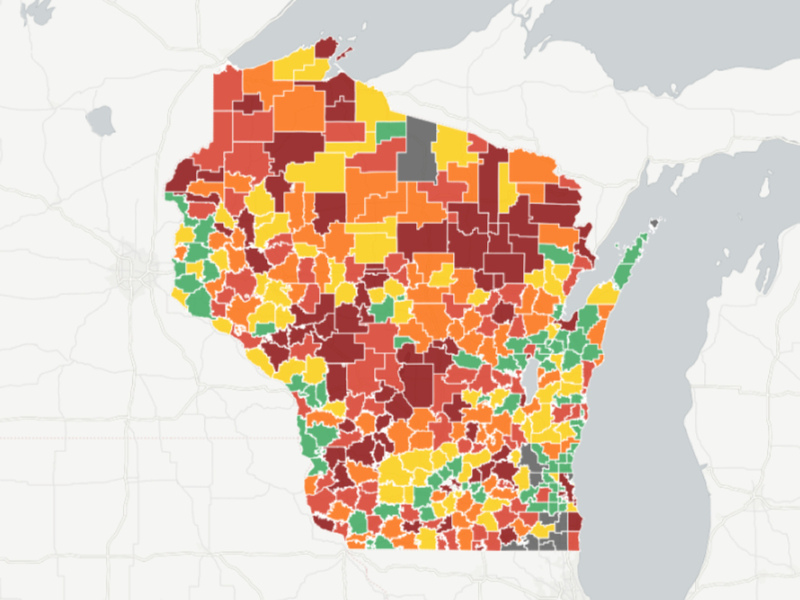 All the data shown in our map is published online by the Wisconsin Department of Public Instruction. If lots of numbers scare you, the department also maintains a website that lets people quickly view test scores for individual districts or schools. Visit dpi.wi.gov for details. For further reading on Wisconsin test scores from the USA TODAY NETWORK, check out Jen Zettel’s look at the results from Fox Valley schools, Patti Zarling's article on Green Bay schools and Erin Richard’s piece on Milwaukee schools.